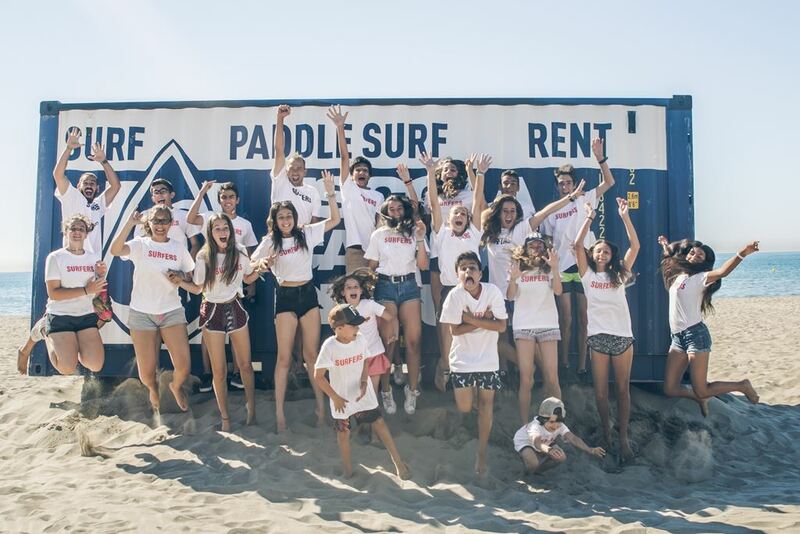 Spend a great week this summer at our surf camp in Castelldefels (Barcelona). 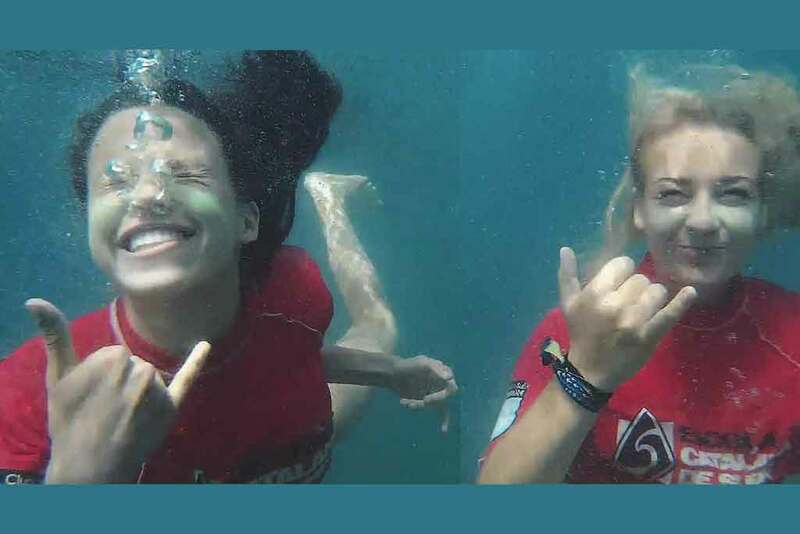 Have fun in the sea, make new friends, get to know the medium and improve your technique under the supervision of our instructors. 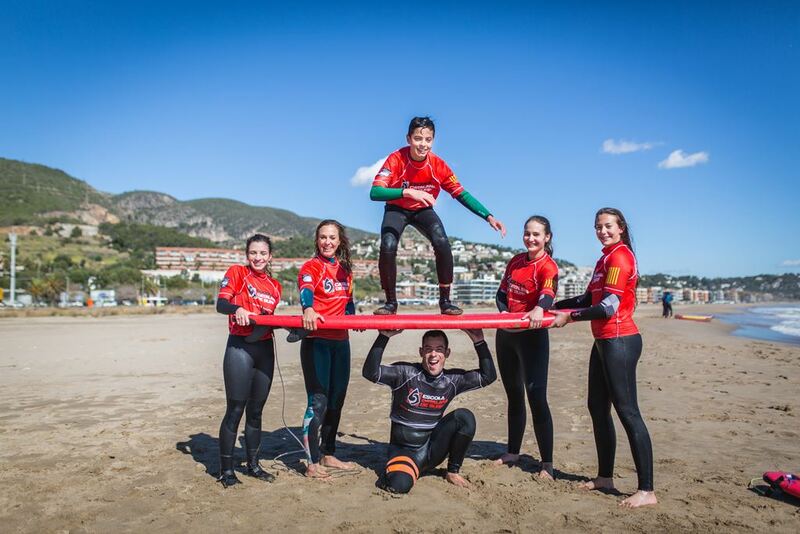 Our surf camps are designed for girls and boys aged 7 to 18 and at any level. Learn to surf in the best company! 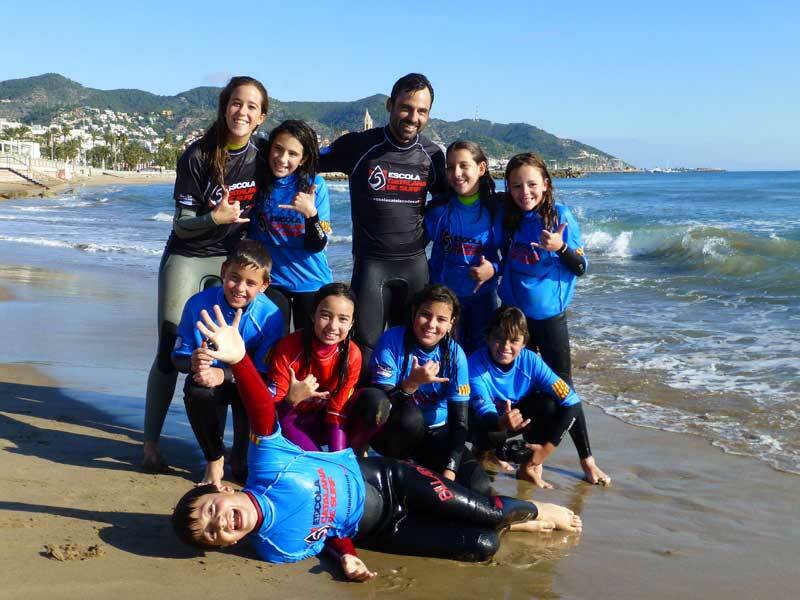 At the Easter surf camp we’ll introduce you to surfing and teach you the fundamentals of this sport. And if you already have experience we’ll adapt to your level. † In order to benefit from this offer, all students must be enroled at the same time. Offers cannot be combined with any other offers or promotions. 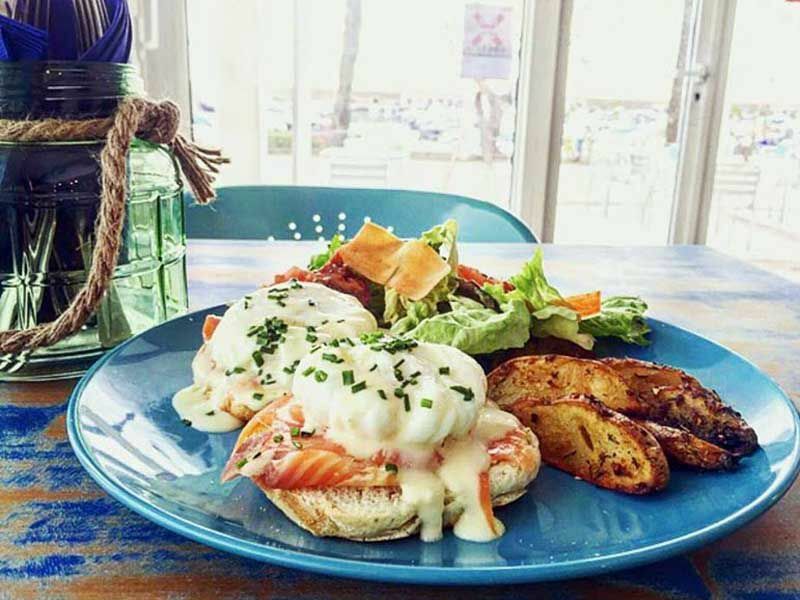 Also, 5% additional discount if you book more than one week. 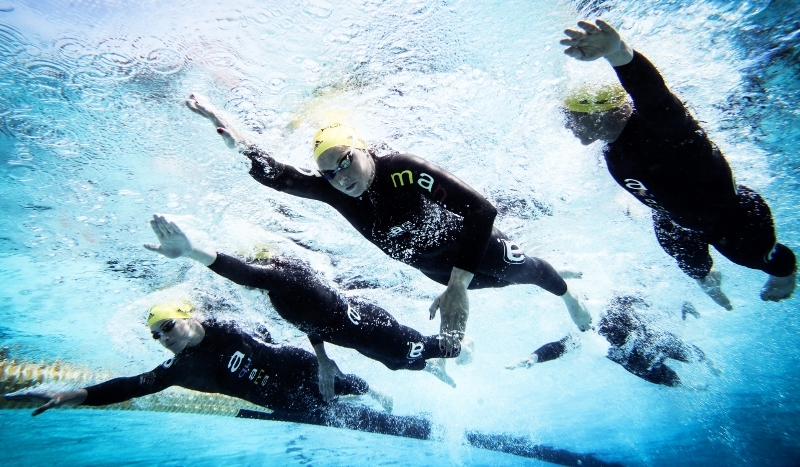 Choose the type of course (Full-day [Jornada Completa], Mornings [Mañanas] or Afternoons [Tardes]), the location, the time and date and the number of people you want to enroll. In the next step you can enter your personal information and payment details. 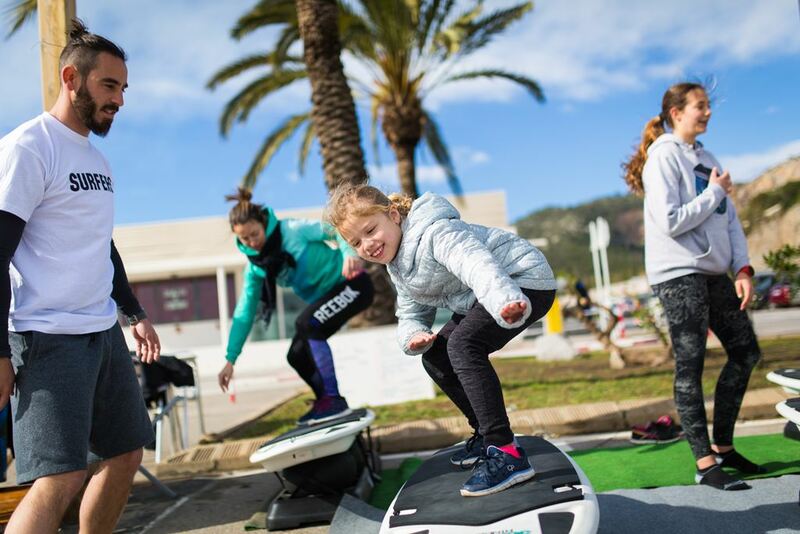 Daily beginner and improvement classes from 9am to 5pm with two hours of surfing or SUP every day. 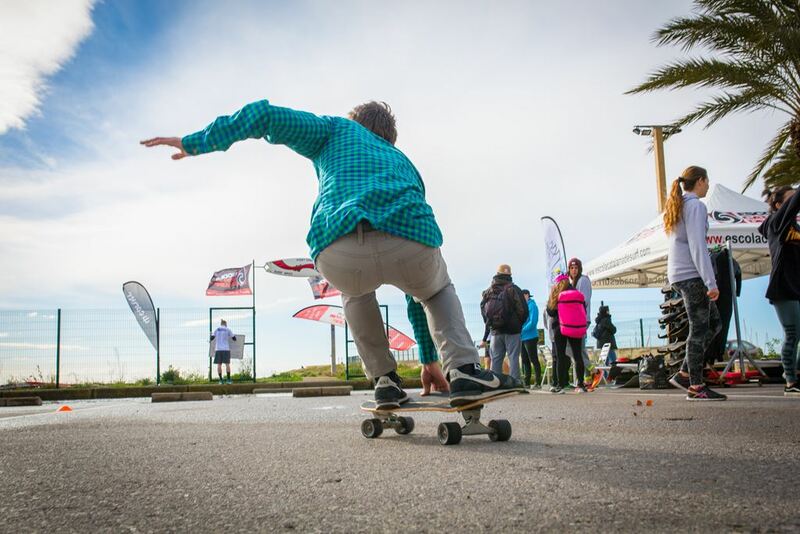 The surf camp organised by the Escola Catalana de Surf combines surfing with activities geared towards this sport such as paddle surf, skateboarding, reading the medium and video corrections It’s guaranteed entertainment! 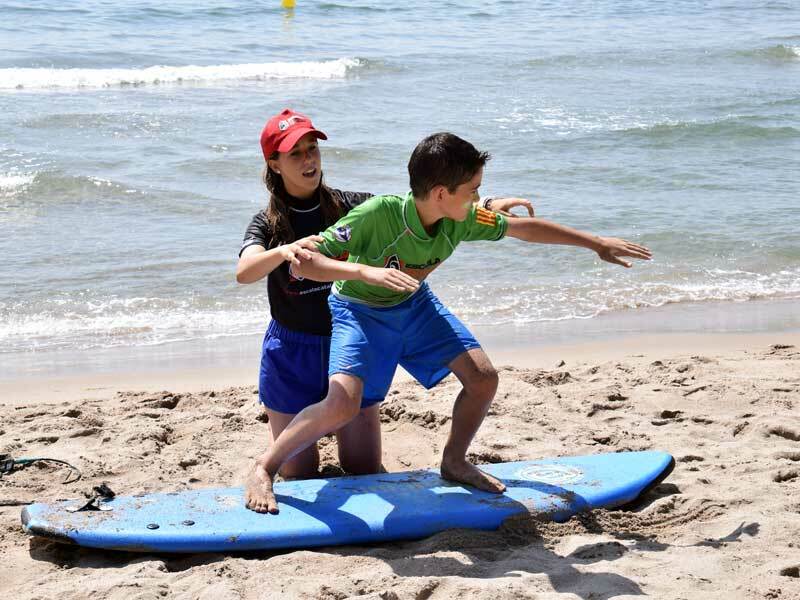 Thanks to the slope of the seabed, the waves in Castelldefels make for ideal surfing classes, recommendable for both adults and children (from 7 years old). At our school you’ll find people of all ages! 12:30h Carve Board (skating), Slakeline, etc.